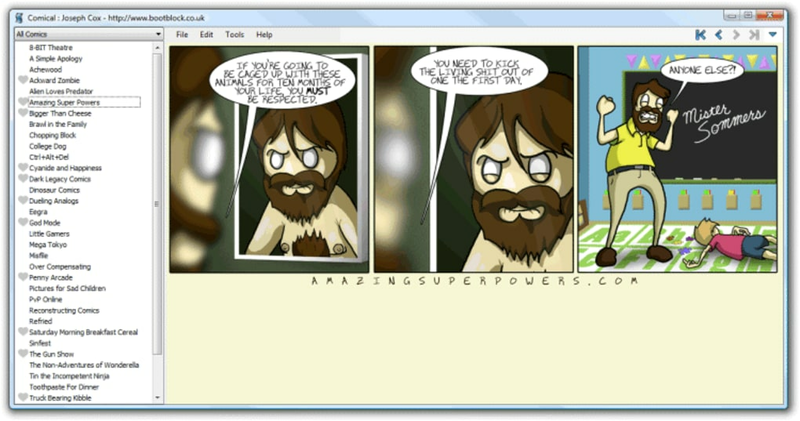 Comica, previously known as Comical, is a free, open source app with which you can read comics on your computer. Comica is stable and effective. 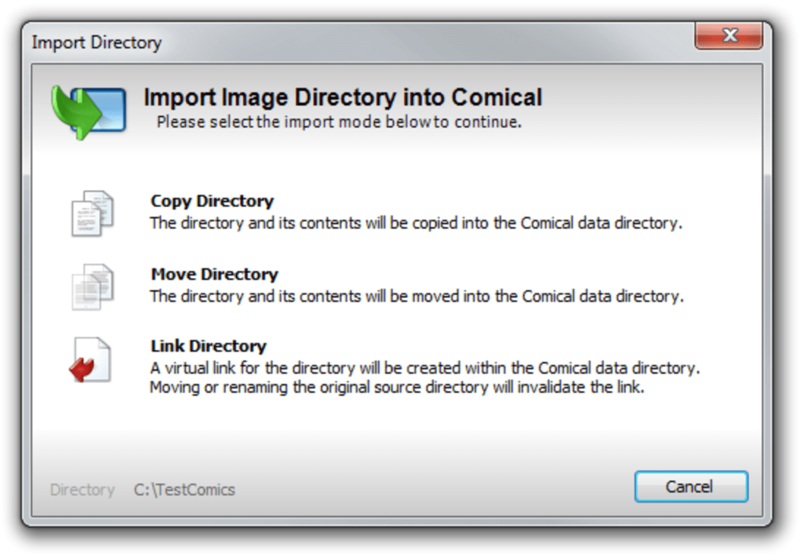 It is compatible with ZIP and RAR compressed files, and the more common CBR and CBZ comic book compressed formats. Once installed, it'll open up with a welcome page that also works as tutorial, explaining the basic features of the program. 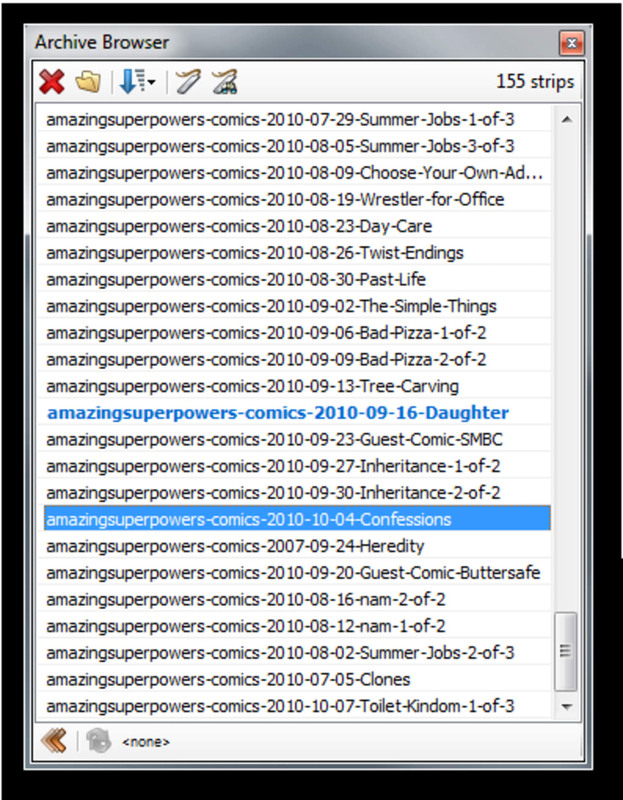 You can browse the list of comics on the left side of the interface, and also import your own comics to Comica. 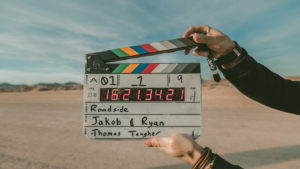 Selected comics will be displayed on the right-side pane, though you can also view them in full screen, and toggle the top toolbar on and off. Comica includes hundreds of comics and downloads them quite quickly. 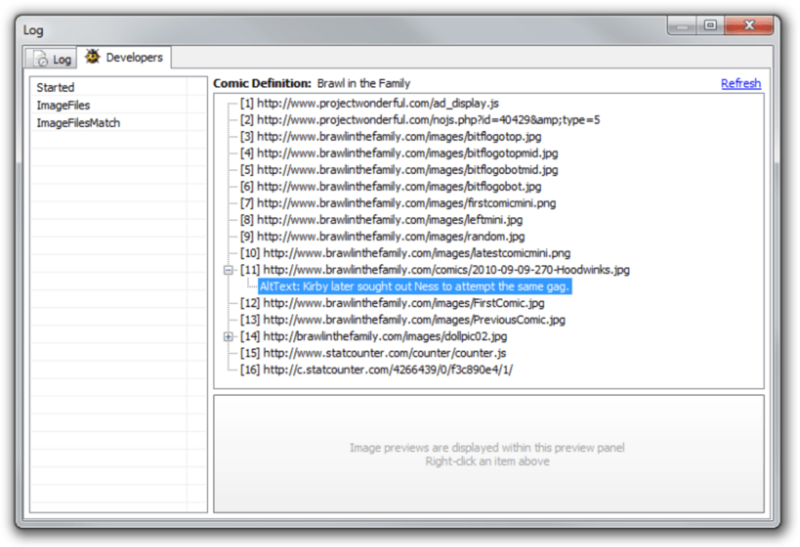 The program also lets you mark certain comics as favorites and checks them for updates automatically. On the downside, the program lacks a bookmarking feature. Also, make sure you have the Microsoft .NET Framework 4.0 installed or you won’t be able to download anything at all. Despite minor drawbacks, Comical is a stable, and more importantly fast comic book reader. CBZ? How?. Despite the description, this program does not seem to provide any way of opening CBZ or CBR files. It appears to only be for downloading and displaying webcomics. BFD, I can do that with an ordinary browser (that's why they're called WEB comics). I was hoping for a nice light CBZ/CBR comic reader app, like ComicRack without all the feature bloat. This program is useless. To: Crazyfish. Sorry about that - there was some confusion about this and another similarly-named app, but it's all sorted now! Not a comic book reader. It downloaded some random video player - &amp;quot;KM Player&amp;quot; instead of Comical reader. wasnt a bad player tho. What do you think about Comica? Do you recommend it? Why?